Ali’s a Muslim. Honour’s an atheist. When Ali and Honour meet on a student night out, they fall head over heels in love. But Ali’s a Muslim and his parents want him to marry a girl in Pakistan. And Honour’s an atheist and doesn’t believe in marriage. Soon Ali’s leading a double life: One in London with Honour, living every couple’s dream; another in Manchester, as the dutiful son. Meanwhile, Honour learns about a different way of life, insisting she will never convert. A contemporary story that tells us what it means to be young and in love in multicultural Britain. 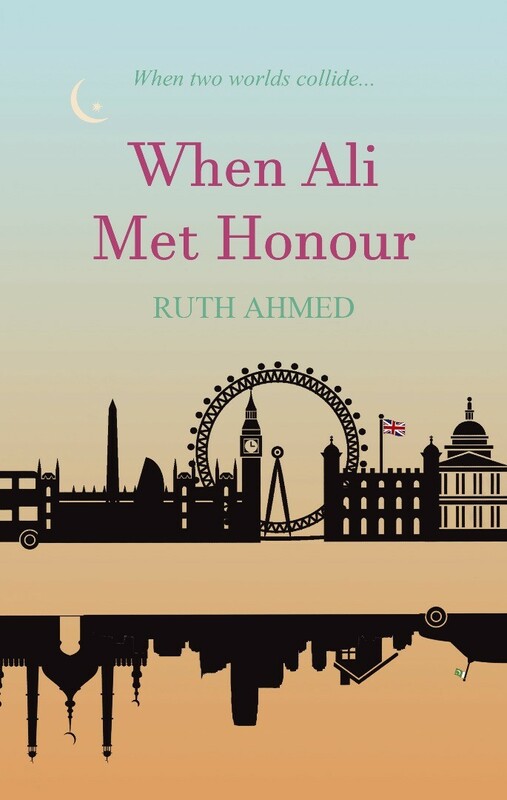 When Ali Met Honour is the first novel by Ruth Ahmed; the pseudonym for the writing team of Anstey Spraggan and Dimmi Khan. Anstey and Dimmi met whilst on the Creative Writing Masters programme at Manchester Metropolitan University. Anstey Spraggan teaches creative writing in the community and for Canterbury Christ Church University. She lives near the seaside in Kent with her husband and a huge sigh of relief that their five children have left home. Dimmi Khan is a published short story writer. He has studied at the Manchester Grammar School (after receiving a full bursary), is a graduate of the London School of Economics, and has Master’s degrees in Islamic Studies (Birkbeck College, University of London), Information Systems (University of Westminster) and Creative Writing (Manchester Met University). He is currently studying for an MLitt Terrorism Studies at the University of St Andrew’s by distance learning. He also has a lifelong passion for Archaeology, Human Evolution, Ancient History and Bollywood.